The Best Waco Ice Delivery Service! 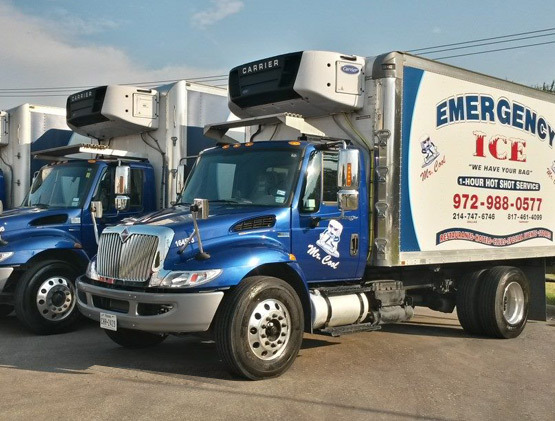 Emergency Ice, Inc. is a Dallas-based ice delivery service that has provided high-quality ice products for bars, restaurants, and events throughout the north central areas of Texas since the 1970’s. 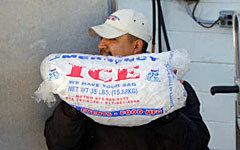 Emergency Ice delivers ice blocks, dry ice, ice bags, and many more ice-related products. We are proud to provide reliable ice services and ice delivery to China Spring, Elm Mott, Robinson, Hewitt and the entire Waco area. We’ll deliver ice to your Waco location 24 hours a day, 7 days a week. Our ice delivery service is based on quick response, crystal-clear ice, and the highest-level ice service available. Is your ice machine down? No problem, Emergency Ice has you covered. Emergency Ice has the equipment, experience, and skill to meet all our Waco client’s ice demands every hour of every day. Unsure of how much ice you will need fro your event? Find out by using our event ice calculator. We have access to an incredible 360 tons of daily ice production! Serving north central Texas commercial customers since the 1970’s, shows that we’ve developed an unparalleled level of experience and skill at providing ice to our clients. We’ve mastered ice delivery and can meet your commercial ice demands. We operate our ice delivery trucks with on-demand service and hand-held invoice devices ready to deliver ice anywhere in Waco, 24 hours a day, 7 days a week. Emergency Ice provided ice for events and parties of all sizes, from hundreds to thousands of people – PGA tournaments, Red Bull events, college sports, art and musical festivals, and so much more. We staff our event with quality products and experienced, skilled, and friendly ice professionals. One-Hour Ice Delivery Is Our Specialty! Call us today at 254.799.4111!